The New Elizabethan Singers’ Summer Concert on 18th May 2019 is a challenging and exciting programme of four short but iconic 20th century English pieces, all celebratory in tone and theme. Benjamin Britten’s Rejoice in The Lamb was commissioned as a celebratory piece in the otherwise dark days of 1943 for the anniversary of the building of a church. The piece uses the strange lyrics of Christopher Smart, a visionary and troubled 18th century poet. Smart, who spent some years confined in an asylum, celebrated the glory of creation in many manifestations including his pet cat Geoffrey and also a valiant mouse of his acquaintance. All animal lovers should hear this! 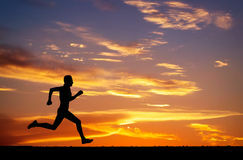 Dorset Mental Health Forum is excited to announce a new partnership with Bridport Runners. Supported by Tanya, one of the Forum's local peer workers, the 'Running for Wellbeing' group meets every Wednesday evening in Bridport Town. The aim of this initiative is to engage those who are struggling with their mental health into a friendly , supportive running group where the focus is equally on getting out and being social as much as actually running. Tradgedy strikes as fire rages through St Michael's Artist's Quarter. 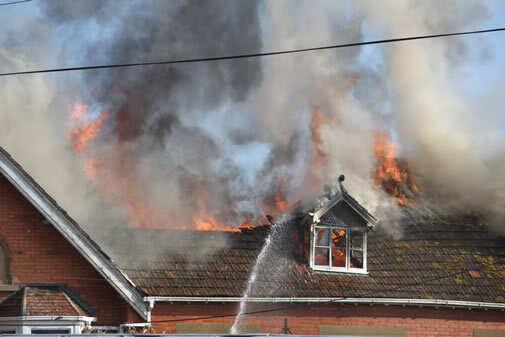 The blaze broke out on the St Michael's Trading Estate in Bridport shortly after 18:00 BST on Saturday. HRH the Prince of Wales visited Bridport to see the historic Literary and Scientific Institute (known by locals as the Old Library) which has been totally regenerated to be once again an important part of the future economy of Bridport. 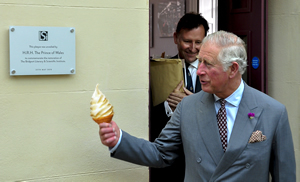 The Trustees of Bridport Area Development Trust (BADT) who have been responsible for rescuing and restoring the building were honoured to have the opportunity to share with Prince Charles some of the history of the building and to show him around the new Town facility. 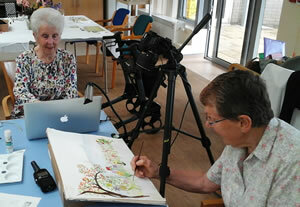 The Arts Therapy team at Weldmar Hospicecare work with patients and family members using a wide range of creative activities. 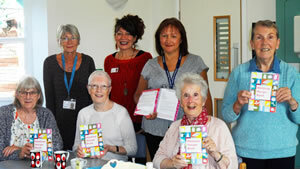 The aim is to offer people opportunities to express themselves, rekindle skills and maybe gain new ones. The 30th Stanley Mansbridge Perpetual Trophy competition for Dorset town criers is to be held in Bridport next Wednesday (22nd November 2017). 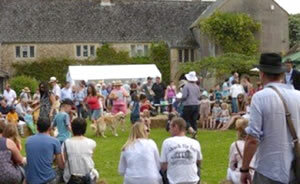 Criers from Beaminster, Blandford, Blandford Forum, Dorchester, Gillingham, Langton Herring, Swanage, Wareham and West Moors will be judged on diction, volume and interpretation. There will also be a prize for the best-dressed crier/couple. 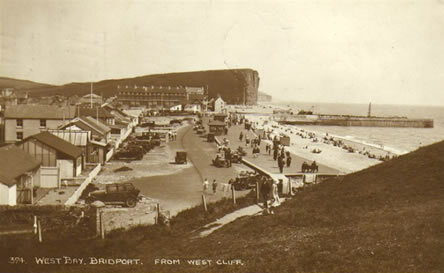 The first cry will be about the crier's home town (Borough Gardens 1.30) The second will be about Rope (Bucky Doo 3.00). 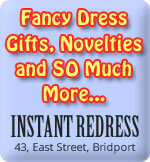 This is the first town criers' competition to be held in Bridport since 1938. Although many people know about Weldmar Hospicecare, not everyone knows about the full range of outstanding services on offer. The arts therapies team is just one of those services, and works with patients and family members with a whole range of creative activities. At a challenging time it’s important to be able to express oneself and reflect on a life’s journey. 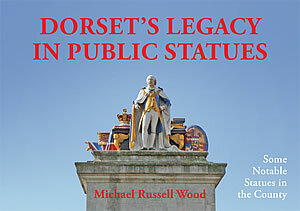 A new book about Dorset's statues has been published by West Dorset author Michael Russell Wood. Dorset's Legacy in Public Statues features some well-known figures such as Thomas Hardy in Dorchester and George III in Weymouth alongside lesser-known pieces including a skateboarder by the sculptor Greta Berlin in the garden of Wimborne Library and Eric Gill's obelisk in Briantspuddle.